Hyderabad, famous for the Nawabi culture and the flavors and aromas of Biryani is a colorful combination of then and now. It carries the legacy if the past in perfect amalgamation with the ever changing world of today. 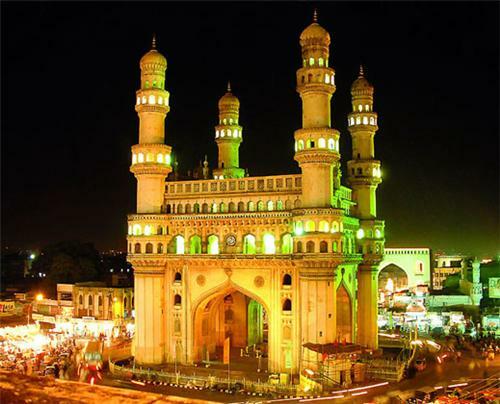 The culture of Hyderabad which is particularly known as the Deccan Tehzeeb is far from the culture of north and south. It gives you a glimpse of royalty, of richness and of history. Be it the beautiful mosques or the influence on food, Hyderabad is under the magical spell of Muslim culture. The geographical location and the fact that Hyderabad was ruled by different dynasties have helped carve out the present culture. The people of the city perfectly balance Hindu and Muslim cultures. From Burqa to salwar kameez and from jeans to saree you would find it all in Hyderabad. The Hijab and the Burqa are very much a part of the culture of Hyderabad. Don’t be surprised if you find a Hyderabadi speaking both Urdu and Telugu. Language is a distinct feature of the people of Hyderabad. Even the local Hindu population would speak Hyderabadi Urdu as their native language. The classic ‘nakko’ and ‘hau’ which have replaced the ‘nahi’ and ‘haan’ of Urdu give a clear indication that you are in Hyderabad. Food is an important part of any culture and you get the idea of the culture by the food that people have. Hyderabad has always been famous for its food. 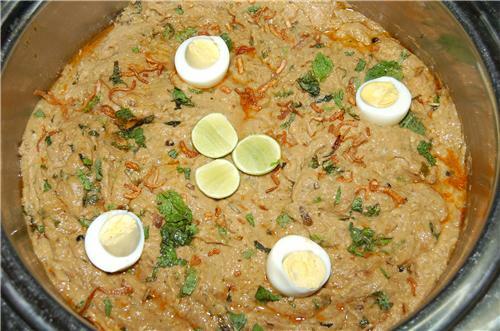 Hyderbabadi cuisine is deeply influenced by Persian and Mughlai cuisine. The Mughlai influence on the cuisine is courtesy the Mughal rulers that ruled Hyderabad in the 17th century. Although the use of wheat is moderate, the cuisine primarily has rice and meat as staples. The use of spices and herbs is also on the higher side, because Mughlai and Persian food is spicy and tangy. The cultural greatness speaks volume from the architectural wonders of Hyderbabad – Charminar, Golconda Fort, Chowmahalla palace, Falaknuma and the Mecca Masjid. The tombs and archways are a clear example of Indo-Islamic architecture that the city boasts of. The structures like he Osmania University, Osmania general hospital and the High Court have depict medieval Mughal architecture. The advantage of having many influences on the culture is that you can celebrate a lot of festivals. In Hyderabad, Id is celebrated with the same zeal and fervor as is Ganesh Chaturthi. People respect each other’s cultural and religious beliefs and that’s what makes Hyderbabdi culture a great learning example. 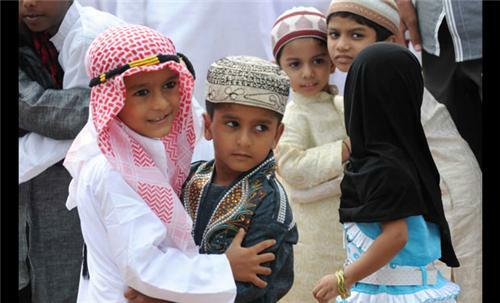 Caste, religion or ethnicity has never proved to be a hindrance in the festivities in the city of Nawabs. Hyderabad city is a leading IT hub of the country. The city has a very metropolitan look, but behind the veil of modernity and urbanization, it is deeply connected to its roots. People have adapted to the modern ways but have not forgotten the traditions and customs. Preserving the heritage and culture in this age of modernization should be learnt from the people of Hyderabad. can you tell me about the most popular festivals celebrated in hyderabad city? i want to buy pearl from hyderabad, can you suggest me some of the best shops for it in hyderabad city? Hi! Go through this page to know about famous shops selling beautiful pearls.